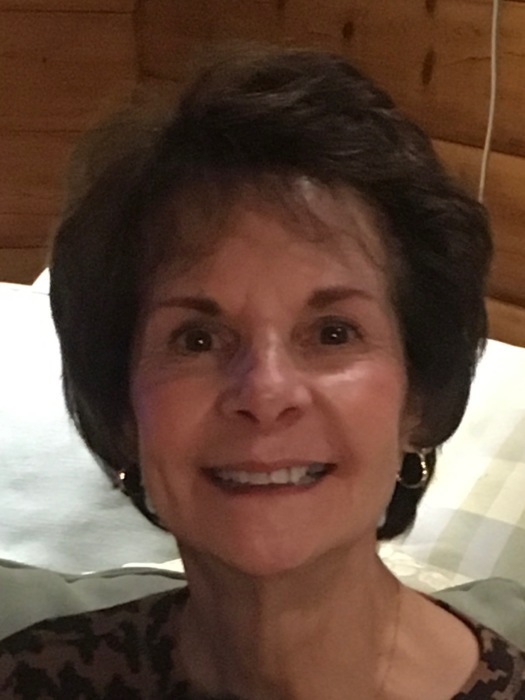 Jean M. (Perruzzi) Alexander 66 of Braintree and West Harwich passed away July 19 2018 surrounded by her loving family after a courageous battle with cancer. Beloved wife of Stephen C. Alexander to whom she was married to for 44 years. Loving mother of Jaclyn Molloy and her husband Ryan of Hanover and Caitlyn Fraser and her husband Jason of Plympton. Dearest grandmother of Jadyn, Elizabeth, Anna, Benjamin, Shaylin, Nathan and the late Stephen. Sister of Joseph Perruzzi and his wife Kathleen of Tiverton RI. Daughter of the late Joseph and Micheline (DiMonte) Perruzzi. There was nothing more enjoyable to Jeanie than the time she spent with her family; whether at the beach, a social occasion, or an impromptu family dinner. She loved decorating, shopping (mostly for her grandchildren), gardening and reading. Jeanie’s kindness and compassion was evident to those who knew her and she will be greatly missed. Relatives and friends are respectfully invited to visit the McMaster Funeral Home 86 Franklin St (RT 37) Braintree, Tuesday July 24th from 5-8 PM. A Funeral Mass will be held in the Church of St. Clare 1244 Liberty St. Braintree Highlands Wednesday July 25 at 10:00 AM. Burial will follow at Lakeside Cemetery Franklin St. Braintree. In Lieu of flowers the family sincerely requests that donations be made in memory of Jean M. Alexander to the Tribute Program St Jude Children’s Research Hospital 501 St Jude Place Memphis TN 38105-19452.